Two pack of 10' instrument cables. 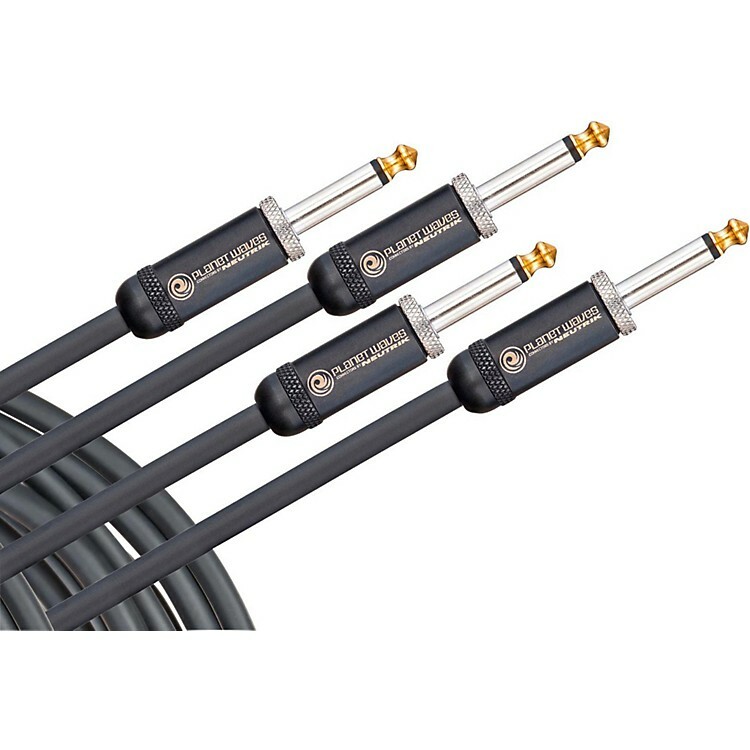 This 10' instrument cable from D'Addario features their patented HelioFused™ soldering, which contributes to a construction quality that can withstand the rigors of the stage, providing solid reliability gig after gig. Additionally, D'Addario's patented Geo-Tip™ gives you the most secure connection possible. Ordinary cables tips don't allow for varying jack tolerances, but the D'Addario-designed patented Geo-Tip™ works with any jack to give you the most secure, trustworthy connection possible. For purer signal and uncolored tone, D'Addario uses a 22AWG oxygen-free copper conductor, USA-made audiophile quality wire tuned for optimized capacitance (28pF/ft), then shields it with 95% tinned copper braiding to eliminate handling noise and reject interference. Manufactured with only the finest materials and unmatched engineering methods, American Stage delivers a professional grade cable. The result is pure, natural tone that you can count on.